Last week, I had the wonderful opportunity to spend time with family for the Thanksgiving holiday. I did not cook, which of course was nice, but it also made me want to try a few of my own Thanksgiving recipes when I came home! I cooked an herb crusted turkey breast with my mom’s stuffing and my new Cinnamon Spiced Carrots. The carrots were super easy to do, and I would enjoy them all winter long! Peel and cut the carrots and parsnips. 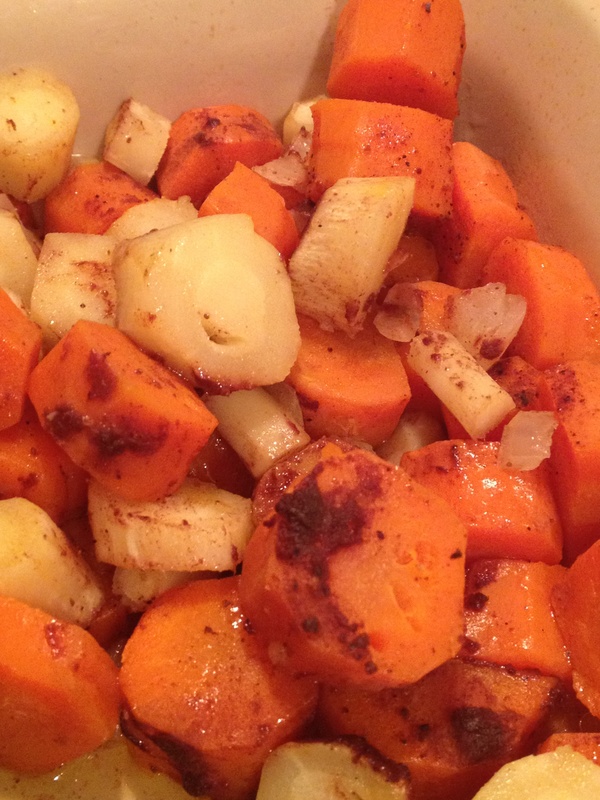 In a large bowl, combine the carrots, parsnips, olive oil, cinnamon, nutmeg, and honey. Toss the ingredients with your fingers a few times to combine. 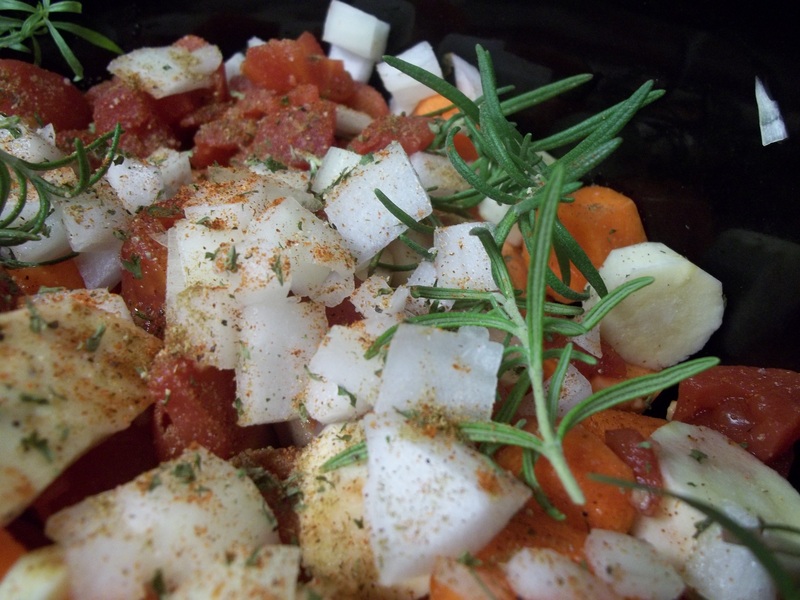 In a roasting pan, pour the carrot mixture. Bake at 350 degrees about 35 minutes, until the carrots are fork tender. 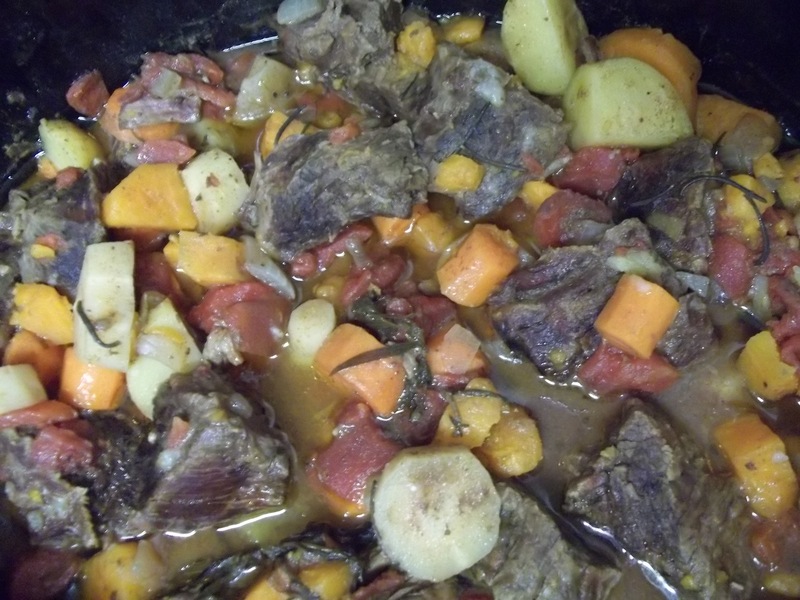 Put all pieces in the crockpot and heat on low for 5-5.5 hours. 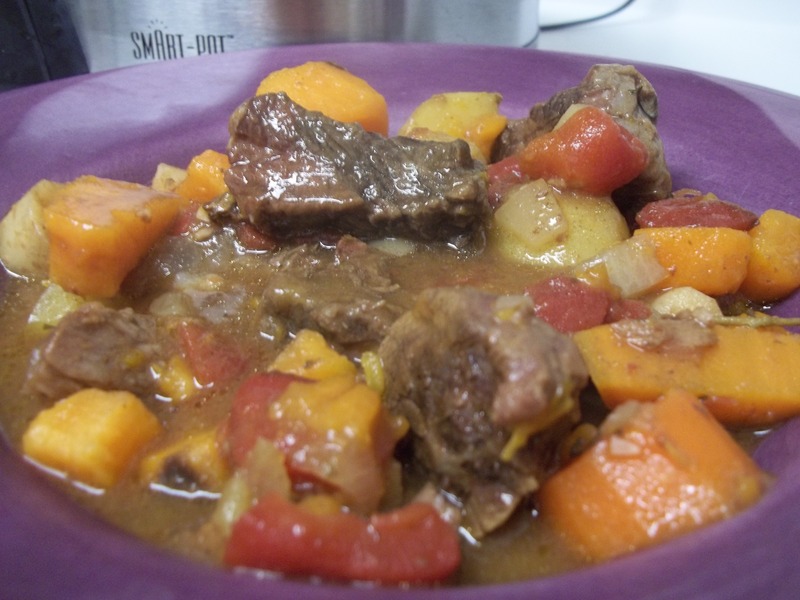 Happy Allergy Free Eating… and stewing!